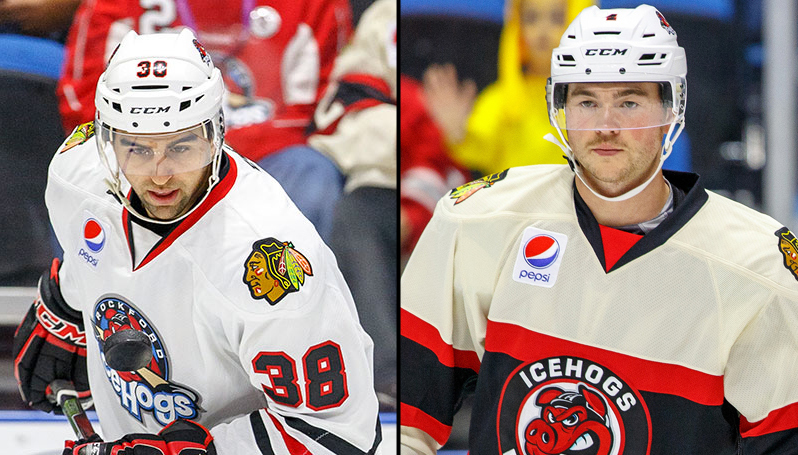 Rockford, Ill. – The Rockford IceHogs, proud American Hockey League affiliate of the 2015 Stanley Cup Champion Chicago Blackhawks, announced that they have reassigned left wing Daniel Ciampini and defenseman Nick Mattson to their ECHL affiliate, the Indy Fuel. Ciampini, 25, appeared in Rockford’s 4-2 over the Chicago Wolves on Saturday and has recorded one goal in nine games with the IceHogs this season. He has played in 31 games with the Fuel, notching 22 points on seven goals and 15 assists. Mattson, 24, has registered two assists in six games with the IceHogs this season. He scored his first professional goal as a member of the Fuel on Jan. 30 against the Evansville IceMen. In 37 ECHL games with Indy, Mattson has 12 points on one goal and 11 assists. The Chanhassen, Minn. native was drafted in the sixth round (#180 overall) by the Blackhawks in the 2010 NHL Entry Draft. His collegiate career includes 17 goals and 61 assists in 153 games during four seasons with the University of North Dakota, including Frozen Four appearances in both the 2013-14 and 2014-15 seasons.